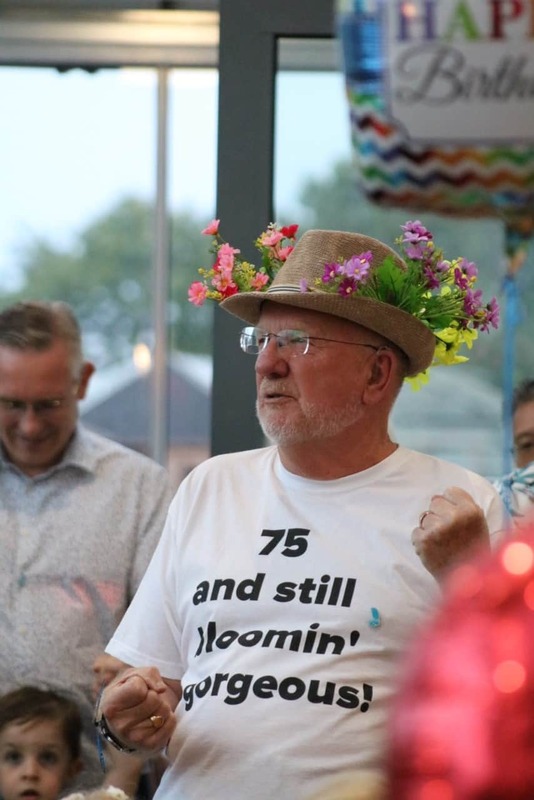 “75 and still blooming gorgeous” proclaimed Stuart Leslie’s t-shirt at his 75th birthday. And we agreed as over £450 was raised to celebrate Stuart’s big day! Occasion giving, as it’s known, is a brilliant way to raise money for the Trust without doing anything out of the ordinary. Got a birthday coming up? Getting married? Celebrating an anniversary? ‘I don’t know what to get’ is an oft heard exasperation around a big occasion, so give your guests an ‘out’ and ask them to donate to the Trust instead. Win-win all round! That’s exactly what retired helicopter engineer, Stuart, did after the stories of Dame Ellen MacArthur’s sailing adventures led him to discover the Trust. One call to the fundraising team and a big banner, badges and collecting tins were dispatched to his Bridport home as Stuart’s party took on the unmistakable tone of the Trust. “When like me, you’ve achieved the venerable age of 75, you most likely have most of the bits n’ bobs you need to get you through life,” Stuart explains. “So I announced please no presents, instead we’ll throw a birthday ‘bash’ inviting all those folks I like having round me. People liked the idea. I explained about the Trust in my invites and then spoke a little at the party. “I asked them to be as generous as they could and they were. We all had a good time and the Trust benefited. There was an overall feeling of achievement. Throw off that classic British reserve. Don’t be shy and give your event a clear Trust identity and fundraising purpose. People these days, are used to exchanging money for you giving them fun, they won’t be offended. We did it too – online! While Stuart went down the collecting tin route, online occasion giving pages have boomed in popularity in recent times. Last year, Trust supporter, Alessandra Stampi-Bombelli, set up a Virgin Money Giving page and raised £1,347 in celebration of her father, Claudio’s 65th birthday. 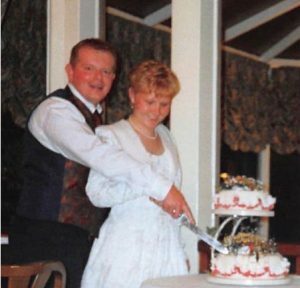 Meanwhile, £630 was donated to commemorate Amanda and John Seddon’s Silver Wedding through a Just Giving page they had set up. Their son, Jack, was supported in recovery by the Trust and the couple wanted to use this event to raise money in lieu of gifts, in addition to the other fundraising they have done over the years. You can watch Jack’s story here. Meanwhile, if social media is more your thing, you can fundraise through Facebook. By becoming a Facebook fundraiser, Facebook will get you started and give you tips to reach your goal, help you connect friends to your cause and gain supporters across Facebook and simplify giving so people can donate in a few clicks without leaving Facebook.